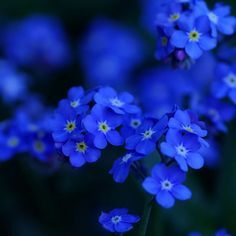 Forget-Me-Not, Indigo Blue, beautiful spring flowers on 6" plants. Biennial, likes moist spots. Germinates in 2 weeks.